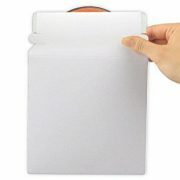 This white paperboard CD/DVD disc mailer with a fold over flap and adhesive strip holds one CD/DVD sleeve. 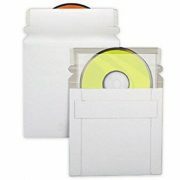 With a zip strip for convenient and easy opening it is an economical and durable choice for mailing your CD’s or DVD’s. 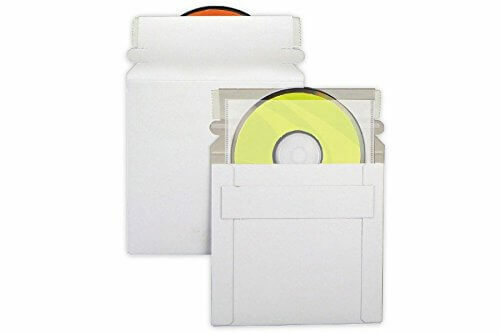 Mailer is designed to hold a single CD/DVD in a sleeve. The 6 x 6 inches paperboard format will protect contents through transport and delivery. 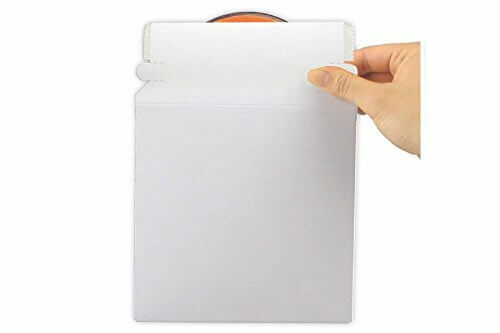 While the disc is protected in a sleeve that allows the recipient to store the disc safely once mailer is opened.